The classic stereotype of an MMO player has an awful lot in common with the classic depiction of a vampire. As far as the world is concerned, both are creatures that fear the sun, stay indoors and engage in bizarre, ritualized behaviors, all the while existing on a very specialized diet. Well Dark Legends, the latest in the popular Legends series of mobile MMOs, is here to prove at least one of those stereotypes to be obsolete. Now available for iOS, Dark Legends has been unleashed onto the iPhones and iPads of the world, allowing users everywhere to take their MMO with them as they venture into the outside world. The full press release is below, but if you aren’t the reading type, here’s the short version: You’ll get to play as a vampire, ripping through humans, werewolves, and demons, and you’ll be able to do it against players on iOS, Android, and Windows devices across the world. The free-to-play app is available now in the app store, so what are you waiting for, sink those fangs in! AUSTIN, Texas – May 7, 2012 – iOS gamers will be to join the blood-soaked fun in the new vampire MMO Dark Legends from Spacetime Studios, the developer of Pocket Legends and Star Legends: The Blackstar Chronicles. The title is now available in the App Store, already has more than half a million active users. Set in a gritty modern-day urban environment in which humans are aware of vampires’ existence, players assume the role of a recently sired vampire who must battle to survive in a world which fears and hates their kind. In the struggle, players must face gangs of well-armed humans, hordes of the undead, packs of werewolves, covens of warlocks and legions of demons. 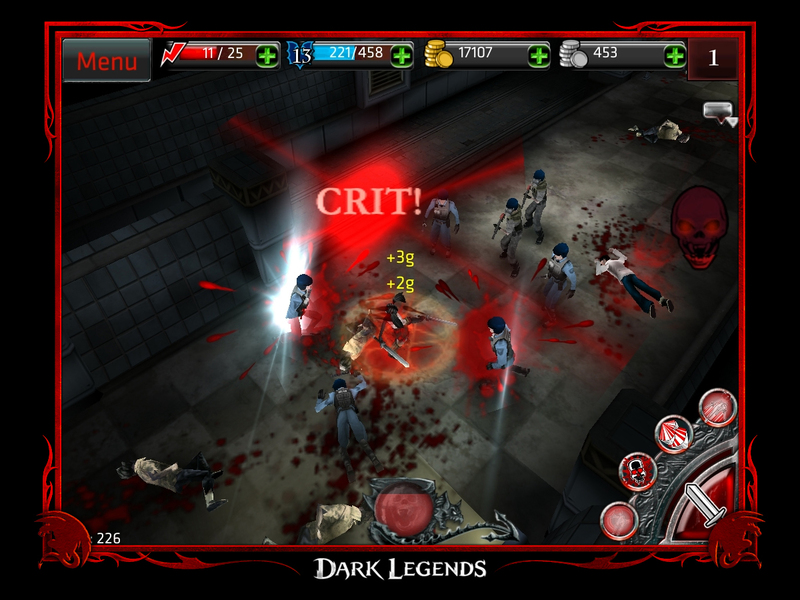 Dark Legends is the third title in the highly popular Legends franchise of mobile and desktop games. The first two titles, Pocket Legends and Star Legends: The Blackstar Chronicles, are the world’s largest mobile MMOs with more than seven million downloads. The title is Powered by SpacetimeSM which will allow Android, iOS and Windows users to play together globally. The technology supports game play over Wi-Fi, Edge, 3G and 4G networks. 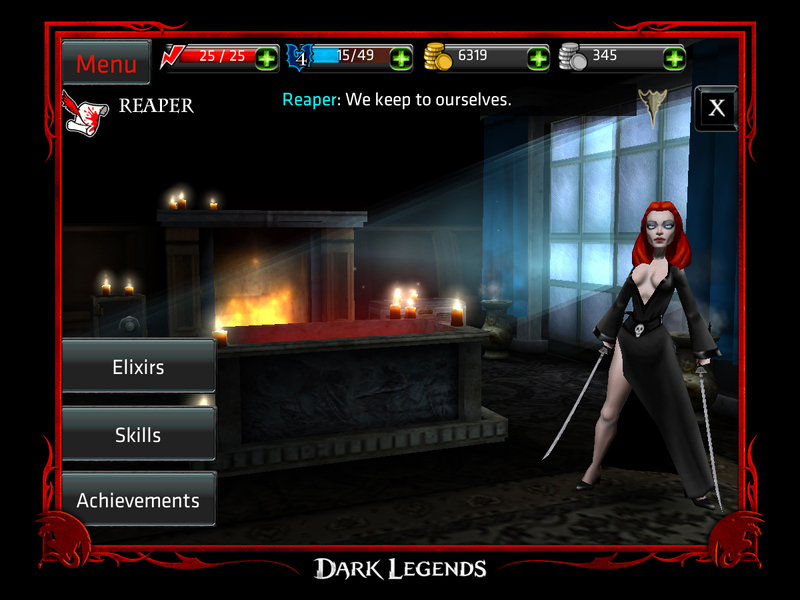 Dark Legends is free to download and play at http://itunes.apple.com/us/app/dark-legends-3d-mmo/id475249795?mt=8. The game features optional microtransactions and virtual currency that enhance the play experience with vanity items, health packs and premium revives. For more details visit http://www.darklegends.com. Spacetime Studios is an independent game development studio located in Austin, Texas. The company was founded in late 2005 by online game veterans Cinco Barnes, Gary Gattis, Jake Rodgers and Anthony L. Sommers.